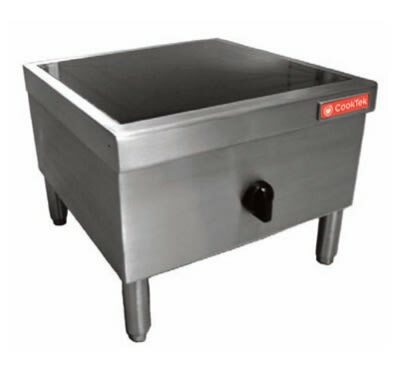 This floor model commercial induction stockpot unit from CookTek features a floor mounted classic design with stainless steel housing that is durable and easy to clean. The Pan Maximizer on this induction stockpot unit allows for maximum heating of most induction compatible pans. The LED bar-graph display provides precise user feedback.